Lord Bhairava or Aghora Bhairava is a deity in Hindu mythology. He is considered as a ferocious manifestation of Shiva related to total destruction. Bhairava is the main deity worshipped by the Aghoris. Aghoris are ascetic Shaiva sadhus who are known to engage in post-mortem rituals. 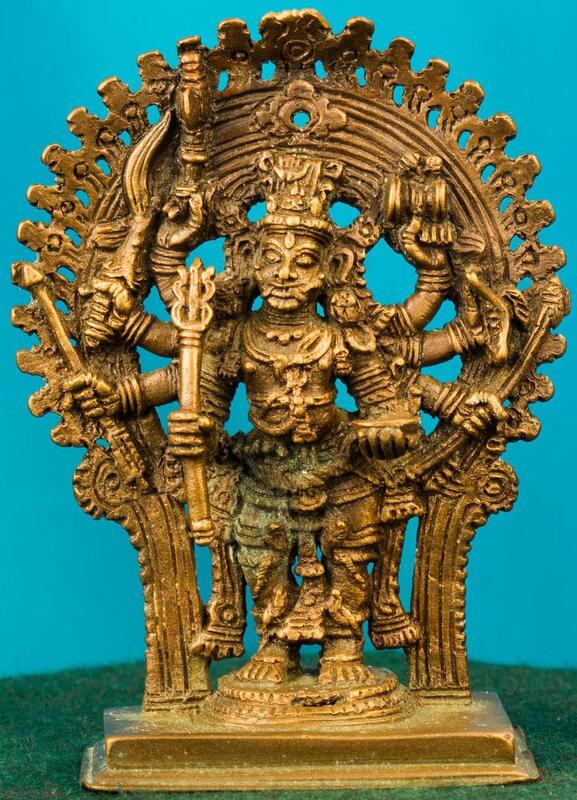 The exhibit is that of an eight handed standing Bhairava in Ugra form where each hand holds an item. The canine teeth are visible. Prabha surrounds the image. Bhairava is depicted as being ornamented with a range of twisted serpents, which serve as earrings, bracelets and anklets.